I moved to Tanzania, East Africa, a few months after I graduated from college. 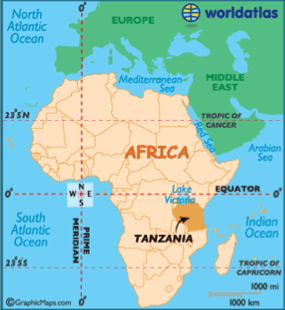 Tanzania’s there in dark orange–just below the equator. On paper, my job was to teach writing and English to journalism students at a newly-formed university. The reality was that I did a little bit of teaching and a lot of learning during those two years. 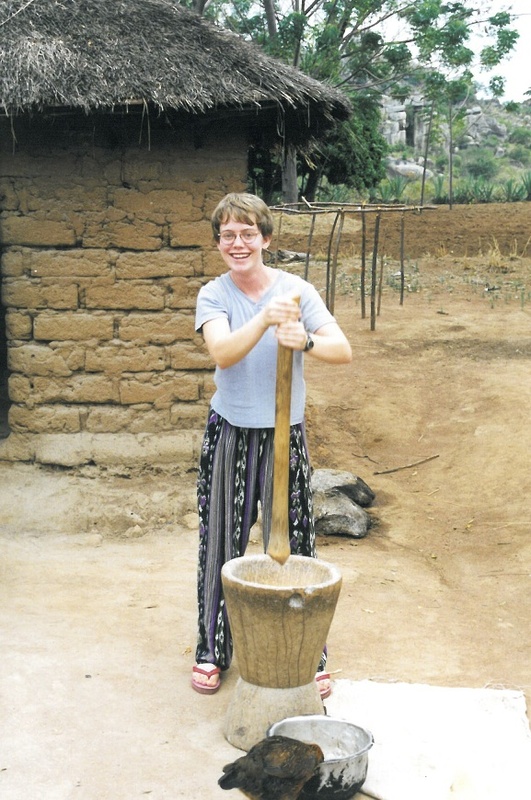 I was schooled in the many arts of basic living: washing clothes by hand, carrying water in a bucket on my head, and pounding rice in a giant mortar and pestle. Me pounding rice. Yes, I know the glasses look a little silly–it was the 1990s. I learned what it felt like to have malaria, typhoid and ecoli, and to value life in a place where almost everyone I knew had lost a sibling during childhood to a tropical disease. The most enjoyable lesson came in the form of informal, daily Swahili tutorials on my front porch with Tanzanian kids who congregated to play in the shade of a nearby flamboyant tree. Read the full story on Sara’s blog. This entry was posted in A Girl Called Problem and tagged Africa, middle grade, Nyerere, strong girl, Tanzania. Bookmark the permalink.